TelcoBridges Ttrans™ family of Transcoding gateways are highly stable, reliable, scalable, flexible, and predictable. By using hardware accelerated transcoding, Ttrans gateways keep the same performance at low or full capacity. Cummulative charge does not affect TelcoBridges Trans transcoding gateway. 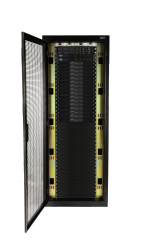 The TMGIP7800 is ideal for large carrier-grade networks where reliability and availability are paramount. Boasting over 99.999% availability BEFORE factoring in n+1 redundancy, TelcoBridges TMGIP7800 Ttrans Transcoding Gateway is the most reliable solution for your network. Furthermore, Ttrans supports a multitide of codecs, and all of TelcoBridges' Ttrans Gateways include the unique TB analytics suite of monitoring and diagnostic tools. This industry exclusive allows you to better manage and control your entire network. Learn more about TB analytics by clicking here, or contact one of our Trusted Advisors to discuss further. 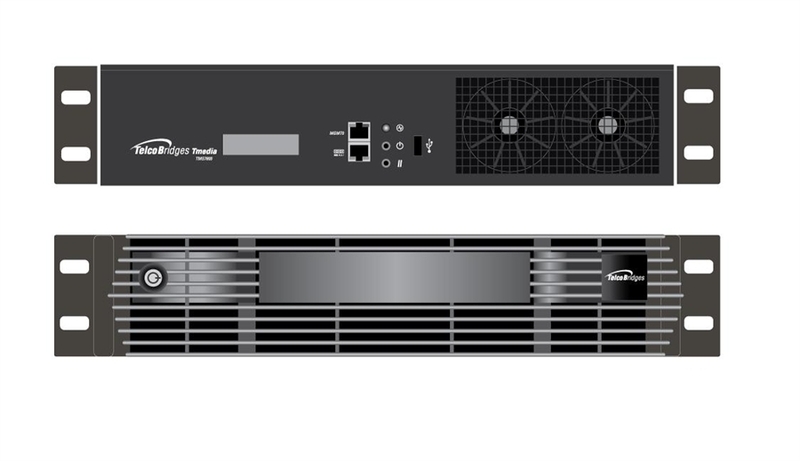 The TMGIP7800 Ttrans transcoding gateway is a comprised of multiple units in a rack. Typically a system will be comprised of 2 Controllers, Switch, and between 1 to 16 transcoders, making the TMGIP7800 a highly scalable solution. Each additional Trascoder adds 512 VoIP Channels.